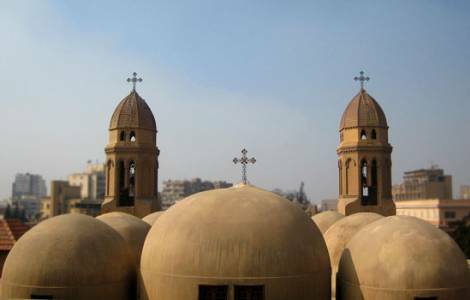 AFRICA/EGYPT - The Egyptian government is preparing a document on the "protection of the churches in Islam"
Cairo (Agenzia Fides) - The Supreme Council for Islamic Affairs, a body linked to the Egyptian Ministry for Religious facilities (Waqf), will publish a vademecum within a month on the subject of "protection of the churches in Islam". This was reported in recent days by Minister Mohamed Mokhtar, head of the department. The book in preparation - explained the representative of the Egyptian government - is intended to document that in Islamic societies reference to the Qur'an can be translated into a form inspired by the values of coexistence and respect among citizens of different religious belonging. The minister announced the news on Wednesday, March 30, during the presentation of another publishing venture, a manual-encyclopedia dedicated to the refutation of the false conceptions of Islam, that the representative of the Egyptian government has valued as a useful tool to combat extremism.